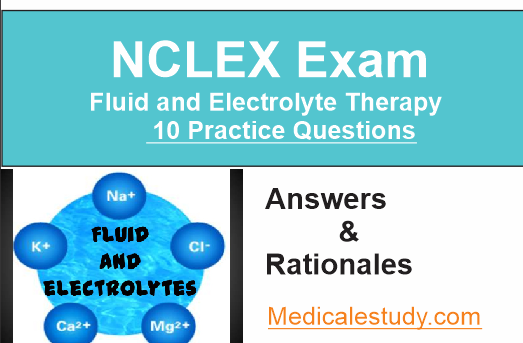 Fluids and Electrolytes NCLEX Practice Questions Page 1. 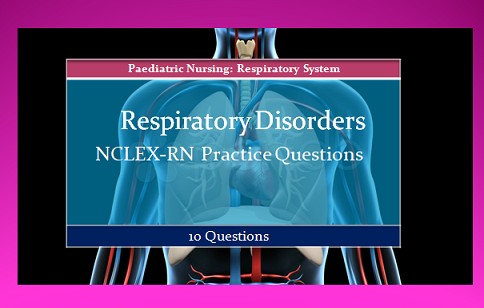 Here are the collection of 17 Questions for fluids and electrolytes Practice. Description: An electrolyte is a substance that, on dissolving in solution, ionizes: that is, some of its molecules split or dissociate into electrically charged atoms or ions. The nurse is caring for a client with heart failure. On assessment, the nurse notes that the client is dyspneic and crackles are audible on auscultation. What additional signs would the nurse expect to note in this client if excess fluid volume is present? Rationale: A fluid volume excess is also known as overhydration or fluid overload and occurs when fluid intake or fluid retention exceeds the fluid needs of the body. Assessment findings associated with fluid volume excess include cough, dyspnea, crackles, tachypnea, tachycardia, elevated blood pressure, bounding pulse, elevated CVP, weight gain, edema, neck and hand vein distention, altered level of consciousness, and decreased hematocrit. The remaining options identify signs noted in fluid volume deficit. Test-Taking Strategy: Focus on the subject, fluid volume excess. Note that weight loss, flat veins, and a decreased CVP are comparable or alike in that each of these signs reflects a decrease. The correct option reflects an increase. The nurse is preparing to care for a client with a potassium deficit. The nurse reviews the client’s record and determines that the client was at risk for developing the potassium deficit because of which situation? Rationale: The normal serum potassium level is 3.5 mEq/L to 5.0 mEq/L. A potassium deficit is known as hypokalemia. Potassiumrich gastrointestinal fluids are lost through gastrointestinal suction, placing the client at risk for hypokalemia. The client with tissue damage or Addison’s disease and the client taking a potassium-retaining diuretic are at risk for hyperkalemia. Test-Taking Strategy: Note that the subject of the question is potassium deficit. The correct option is the only one that identifies a loss of body fluid. The nurse reviews a client’s electrolyte laboratory report and notes that the potassium level is 2.5 mEq/L. Which pattern would the nurse note on the electrocardiogram as a result of the laboratory value? 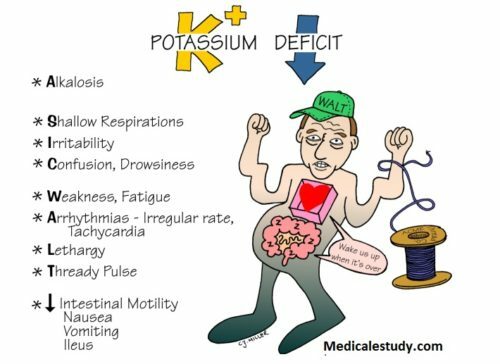 Rationale: A serum potassium level lower than 3.5 mEq/L indicates hypokalemia. Potassium deficit is a common electrolyte imbalance and is potentially life-threatening. Electrocardiographic changes include inverted T waves, ST segment depression, and prominent U waves. Absent P waves are not a characteristic of hypokalemia but may be noted in a client with atrial fibrillation, junctional rhythms, or ventricular rhythms. Test-Taking Strategy: Focus on the subject, the ECG pattern noted with a client with a potassium level of 2.5 mEq/L. From the information in the question, you need to determine that the client is experiencing severe hypokalemia. From this point, you must know the electrocardiographic changes that are expected when severe hypokalemia exists. Remember that a prominent U wave is indicative of hypokalemia. The nursing student needs to administer potassium chloride intravenously as prescribed to a client with hypokalemia. The nursing instructor determines that the student is unprepared for this procedure if the student states that which action is part of the plan for preparation and administration of the potassium? Rationale: Potassium chloride administered intravenously must always be diluted in IV fluid and infused via an infusion pump. Potassium chloride is never given by bolus (IV push). Giving potassium chloride by IV push can result in cardiac arrest. Dilution in normal saline is recommended, and dextrose solution is avoided because this type of solution increases intracellular potassium shifting. The IV bag containing the potassium chloride is always gently agitated before hanging. The IV site is monitored closely because potassium chloride is irritating to the veins and there is risk of phlebitis. The nurse monitors urinary output during administration and contacts the health care provider if the urinary output is less than 30 mL/hour. Test-Taking Strategy: Focus on the subject, the administration of potassium chloride intravenously. Note the word unprepared. This word indicates the need to select the incorrect action. Noting the word bolus in the correct option will direct you to selecting this option. The nurse provides instructions to a client with a low potassium level about the foods that are high in potassium and tells the client to consume which foods? Select all that apply. Rationale: The normal potassium level is 3.5 to 5.0 mEq/L. Common food sources of potassium include avocado, bananas, cantaloupe, carrots, fish, mushrooms, oranges, potatoes, pork, beef, veal, raisins, spinach, strawberries, and tomatoes. Peas and cauliflower are high in magnesium. Test-Taking Strategy: Focus on the subject: foods high in potassium. Read each food item and recall that peas and cauliflower are high in magnesium. The nurse is reviewing laboratory results and notes that a client’s serum sodium level is 150 mEq/L. The nurse reports the serum sodium level to the health care provider (HCP) and the HCP prescribes dietary instructions based on the sodium level. Which food item does the nurse instruct the client to avoid? Rationale: The normal serum sodium level is 135 to 145 mEq/L. A serum sodium level of 150 mEq/L indicates hypernatremia. On the basis of this finding, the nurse would instruct the client to avoid foods high in sodium. Nuts, cauliflower, and peas are good food sources of phosphorus. Peas are also a good source of magnesium. Processed foods are high in sodium content. Test-Taking Strategy: Focus on the subject, foods to avoid in a client with a sodium level of 150 mEq/L. First, you must determine that the client has hypernatremia. Next, note the word avoid in the question. Eliminate peas and cauliflower first because these are vegetables. From the remaining options, note the word processed in the correct option. Processed foods tend to be higher in sodium content. The nurse is assessing a client with a suspected diagnosis of hypocalcemia. Which clinical manifestation would the nurse expect to note in the client? Rationale: The normal serum calcium level is 8.6 to 10 mg/dL. A serum calcium level lower than 8.6 mg/dL indicates hypocalcemia. Signs of hypocalcemia include paresthesias followed by numbness, hyperactive deep tendon reflexes, and a positive Trousseau’s or Chvostek’s sign. Additional signs of hypocalcemia include increased neuromuscular excitability, muscle cramps, twitching, tetany, seizures, irritability, and anxiety. 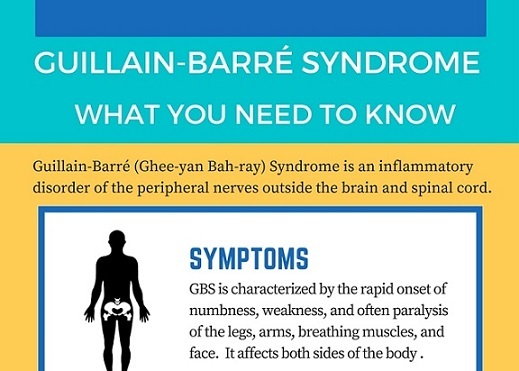 Gastrointestinal symptoms include increased gastric motility, hyperactive bowel sounds, abdominal cramping, and diarrhea. Test-Taking Strategy: Note that the three incorrect options are comparable or alike in that they reflect a hypoactivity. The option that is different is the correct option. The nurse caring for a client with hypocalcemia would expect to note which change on the electrocardiogram (ECG)? Rationale: The normal serum calcium level is 8.6 to 10 mg/dL. A serum calcium level lower than 8.6 mg/dL indicates hypocalcemia. Electrocardiographic changes that occur in a client with hypocalcemia include a prolonged ST or QT interval. A shortened ST segment and a widened T wave occur with hypercalcemia. Prominent U waves occur with hypokalemia. Test-Taking Strategy: Focus on the subject, the electrocardiographic changes that occur in a calcium imbalance. Remember that hypocalcemia causes a prolonged ST or QT interval. 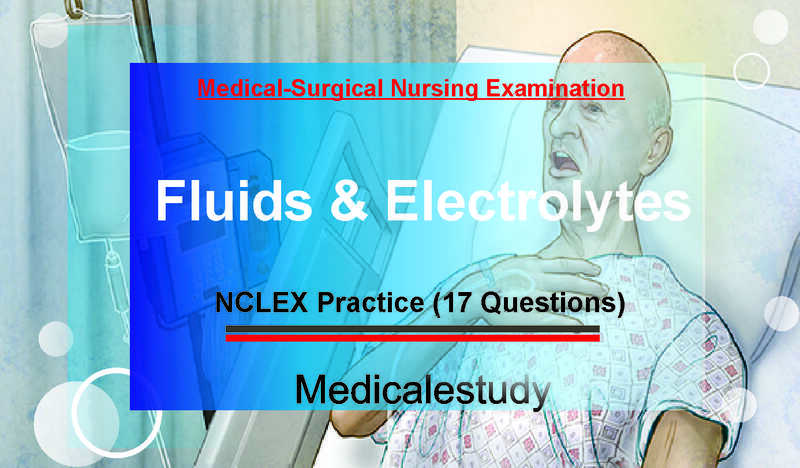 The nurse reviews the electrolyte results of an assigned client and notes that the potassium level is 5.7 mEq/L. Which finding would the nurse expect to note on the electrocardiogram as a result of the laboratory value? Rationale: A serum potassium level greater than 5.0 mEq/L indicates hyperkalemia. Electrocardiographic changes associated with hyperkalemia include flat P waves, prolonged PR intervals, widened QRS complexes, and tall peaked T waves. Test-Taking Strategy: Focus on the subject, the electrocardiographic changes that occur in a potassium imbalance. From the information in the question, you need to determine that this condition is a hyperkalemic one. From this point, you must know the electrocardiographic changes that are expected when hyperkalemia exists. Remember that tall peaked T waves are associated with hyperkalemia. The nurse caring for a group of clients reviews the electrolyte laboratory results and notes a sodium level of 130 mEq/L on one client’s laboratory report. The nurse understands that which client is at highest risk for the development of a sodium value at this level? Rationale: Hyponatremia is evidenced by a serum sodium level less than 135 mEq/L. Hyponatremia can occur in the client taking diuretics. The client taking corticosteroids and the client with hyperaldosteronism or Cushing’s syndrome are at risk for hypernatremia. Test-Taking Strategy: Focus on the subject, the causes of a sodium level of 130 mEq/L. First, determine that the client is experiencing hyponatremia. Next, you must know the causes of hyponatremia to direct you to the correct option. Also recall that when a client takes a diuretic, the client loses fluid and electrolytes. The nurse is caring for a client with heart failure who is receiving high doses of a diuretic. On assessment, the nurse notes that the client has flat neck veins, generalized muscle weakness, and diminished deep tendon reflexes. The nurse suspects hyponatremia. What additional signs would the nurse expect to note in a client with hyponatremia? Rationale: Hyponatremia is evidenced by a serum sodium level lower than 135 mEq/L. Hyperactive bowel sounds indicate hyponatremia. The remaining options are signs of hypernatremia. 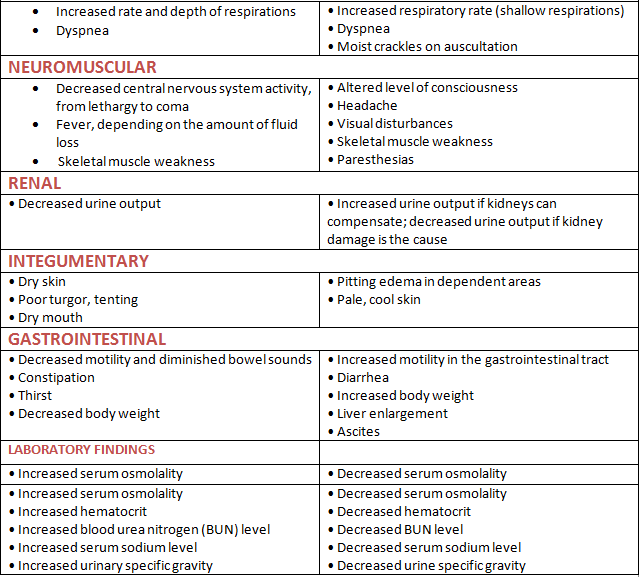 In hyponatremia, muscle weakness, increased urinary output, and decreased specific gravity of the urine would be noted. Test-Taking Strategy: Focus on the data in the question and the subject of the question. Recalling the signs of hyponatremia will direct you to the correct option. Remember that increased bowel motility and hyperactive bowel sounds indicate hyponatremia. The nurse reviews a client’s laboratory report and notes that the client’s serum phosphorus level is 2 mg/dL. Which condition most likely caused this serum phosphorus level? Rationale: The normal serum phosphorus level is 2.7 to 4.5 mg/dL. The client is experiencing hypophosphatemia. Causative factors relate to malnutrition or starvation and the use of aluminum hydroxide–based or magnesium-based antacids. Malnutrition is associated with alcoholism. Renal insufficiency, hypoparathyroidism, and tumor lysis syndrome are causative factors of hyperphosphatemia. Test-Taking Strategy: Note the strategic words, most likely. Focus on the subject, a serum phosphorus level of 2 mg/dL. First you must determine that the client is experiencing hypophosphatemia. 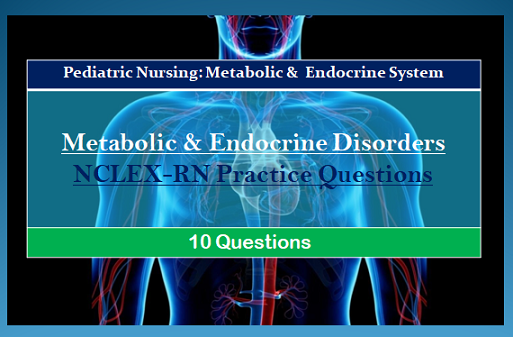 From this point, you must know the causes of hypophosphatemia in order to answer correctly. The nurse is assigned to care for a group of clients. On review of the clients’ medical records, the nurse determines that which client is most likely at risk for a fluid volume deficit? Rationale: A fluid volume deficit occurs when the fluid intake is not sufficient to meet the fluid needs of the body. Causes of a fluid volume deficit include vomiting, diarrhea, conditions that cause increased respirations or increased urinary output, insufficient intravenous fluid replacement, draining fistulas, and the presence of an ileostomy or colostomy. A client with heart failure or on longterm corticosteroid therapy, or a client receiving frequent wound irrigations, are most at risk for fluid volume excess. Test-Taking Strategy: Note the strategic words most likely. Read the question carefully, noting the subject, the client at risk for a deficit. 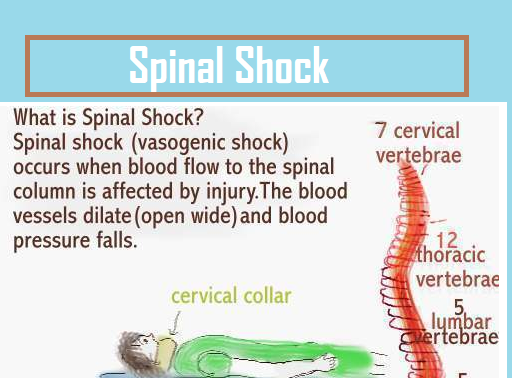 Read each option and think about the fluid imbalance that can occur in each. The clients with heart failure, on long-term corticosteroid therapy, and receiving frequent wound irrigations retain fluid. The only condition that can cause a deficit is the condition noted in the correct option. The nurse caring for a client who has been receiving intravenous (IV) diuretics suspects that the client is experiencing a fluid volume deficit. Which assessment finding would the nurse note in a client with this condition? 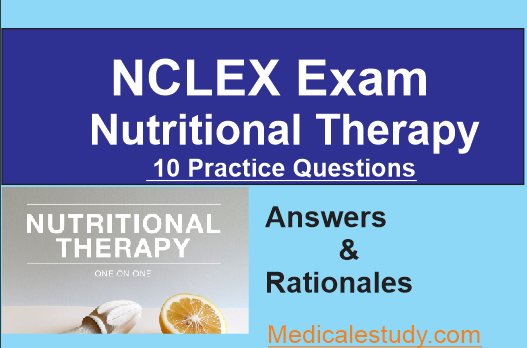 Rationale: A fluid volume deficit occurs when the fluid intake is not sufficient to meet the fluid needs of the body. Assessment findings in a client with a fluid volume deficit include increased respirations and heart rate, decreased CVP, weight loss, poor skin turgor, dry mucous membranes, decreased urine volume, increased specific gravity of the urine, increased hematocrit, and altered level of consciousness. The normal CVP is between 4 and 11 cm H2O. A client with dehydration (fluid volume deficit) has a low CVP. 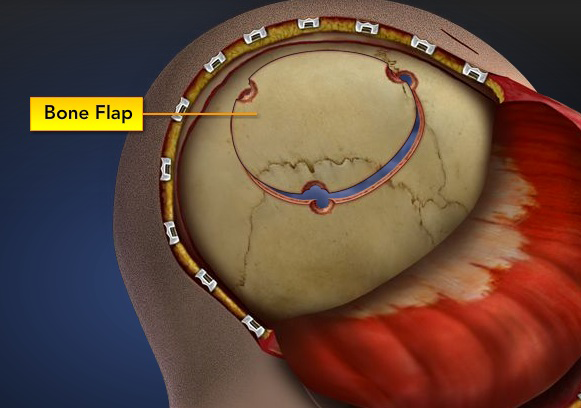 The assessment findings in the remaining options are seen in a client with fluid volume excess. Test-Taking Strategy: Focus on the subject, fluid volume deficit. Eliminate lung congestion and increased blood pressure first because they are noted in fluid volume excess. From the remaining options, recall that CVP reflects the pressure under which blood is returned to the superior vena cava and right atrium. Therefore pressure (volume) would be decreased in a deficient fluid volume. The nurse is assigned to care for a group of clients. On review of the clients’ medical records, the nurse determines that which client is at risk for fluid volume excess? Rationale: A fluid volume excess is also known as overhydration or fluid overload and occurs when fluid intake or fluid retention exceeds the fluid needs of the body. The causes of fluid volume excess include decreased kidney function, heart failure, use of hypotonic fluids to replace isotonic fluid losses, excessive irrigation of wounds and body cavities, and excessive ingestion of sodium. The client taking diuretics, the client with an ileostomy, and the client who requires gastrointestinal suctioning are at risk for fluid volume deficit. Test-Taking Strategy: Focus on the subject, fluid volume excess. Read each option and think about the fluid imbalance that can occur in each. Clients taking diuretics or having ileostomies or gastrointestinal suctioning all lose fluid. The only condition that can cause an excess is the condition noted in the correct option. The nurse caring for a group of clients reviews the electrolyte laboratory results and notes a potassium level of 5.5 mEq/L on one client’s laboratory report. The nurse understands that which client is most at risk for the development of a potassium value at this level? Rationale: A serum potassium level higher than 5.0 mEq/L indicates hyperkalemia. Clients who experience cellular shifting of potassium in the early stages of massive cell destruction, such as with trauma, burns, sepsis, or metabolic or respiratory acidosis, are at risk for hyperkalemia. The client with Cushing’s syndrome or colitis and the client who has been overusing laxatives are at risk for hypokalemia. Test-Taking Strategy: Note the strategic word most. Eliminate the client with colitis and the client overusing laxatives first because they are comparable or alike, with both reflecting a gastrointestinal loss. From the remaining options, recalling that cell destruction causes potassium shifts will assist in directing you to the correct option. Also, remember that Cushing’s syndrome presents a risk for hypokalemia and that Addison’s disease presents a risk for hyperkalemia. developing the potassium deficit because of which situation? hypokalemia. The client with tissue damage or Addison’s disease and the client with hyperuricemia are at risk for hyperkalemia. to 0.51 mmol/L). Hyperuricemia is a cause of hyperkalemia. Body fluids transport nutrients to the cells and carry waste products from the cells. Total body fluid (intracellular and extracellular) amounts to about 60% of body weight in the adult, 55% in the older adult, and 80% in the infant. Thus infants and older adults are at a higher risk for fluid-related problems than younger adults; children have a greater proportion of body water than adults and the older adult has the least proportion of body water.